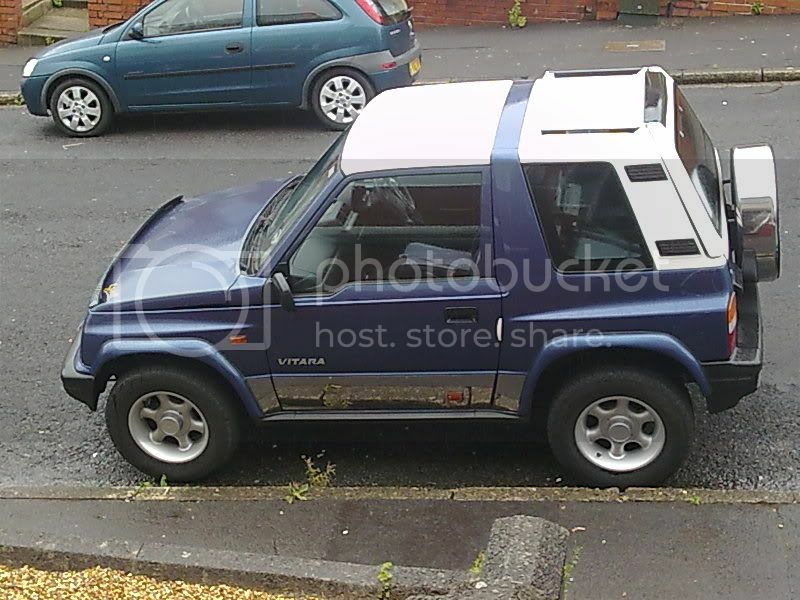 Just thought I would show you a picture of my 97 Vitara. Posted: Wed Jul 29, 2009 15:43 Post subject: Google Ads keep this community free to join! nice looking truck any plans for it ? I've seen that you have a bonnet deflector, what is that for? Is for bug deflection or for protect the bonnet? I think it protects the bonnets from stone chips etc. It may also deflect some things from the windscreen? I'm not that sure as I didn't fit it, it can also be a pain to shut the bonnet. 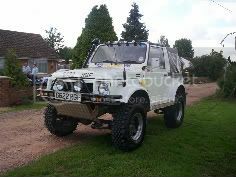 Jules have you christned her with a off road trip???? i mean thats why you got a 4x4 eh!!! Although it looks like an advertising vehicle for the local hairdressing salon, it's been more at home on the beaches and off road in West Wales. Nice Vitara. Which hard top is that?